We are deeply experienced in our four practice areas. But we also understand business - what makes us unique is our ability to see the bigger picture, combining creativity with pragmatism, to get the best outcome. SUPPORTING leaders to develop greater self insight, so they have the resources to lead more effectively. BUILDING the capability of your leaders across the organisation, so they can deliver the business goals. DEVELOPING the collective functioning of top teams, to deliver superior performance for all stakeholder groups they serve. CREATING a high performance culture, which engages your people and supports the delivery of the strategy. Our aim is to support leaders to maximise their personal impact, in order to transform their business results. We challenge and support executives to lead authentically, by developing greater self insight and awareness of their impact on others, so they can engage, inspire and lead more effectively. We use a range of different coaching and psychological models and tools (e.g. Hogan, MBTi, Firo-B), based on the needs of the individual. We believe it is important to track progress. Therefore, we can provide bespoke 360 Degree Feedback solutions, if required. Our aim is to support top teams to develop their collective functioning, so that they can deliver superior performance for all stakeholder groups they serve. Team coaching takes a more holistic approach to developing teams, by focusing on both the “what” and the “how” of their work together, facilitating the building of sustainable rituals and routines. What are we here to do and for whom? What can we do together and apart? How are we being together? How are we connecting with others? We will work with you to define the focus and desired outcomes for the team, creating a ‘roadmap’ for our work together. This may include team diagnostics, observation of the team in action with ‘live’ feedback, structured sessions to work on key issues and one-to-one coaching between sessions. We also believe that it is important to track the progress of the team. Therefore, we can provide bespoke TEAM360 Degree Feedback to enable this to happen. Our aim is to develop your leadership talent across the organisation, in support of the business strategy and plans. In a competitive, global marketplace, leadership capability is critical to the success of any organisation. Your leaders will have a significant impact in shaping your culture, creating a high performance environment and motivating your people to deliver. We have two decades of experience working with leaders to develop an authenticity of approach that gains buy-in and commitment. Developing awareness of self and others is fundamental to our approach. We will work with you to define the leadership behaviours and capabilities necessary to deliver your business plans, or work with your own if they already exist. Then we will design bespoke development programmes, so your leaders can experience and learn from practice. We also believe that it is important to track progress. Therefore, we can provide bespoke 360 Degree Feedback Survey solutions to enable this, if required. Our aim is to support you to create a high performance culture, which engages your people and supports the delivery of the strategy. It’s about establishing a clear and unique DNA for your business – quite simply “the way we do things around here”, which is lived by your people and supported by your processes, policies and systems. It’s what will set your business apart from the competition. We will work with you to develop the values and behaviours which define your desired culture, then support the communication, engagement and implementation of the change throughout the business. We also believe that it is important to track your progress, so you can celebrate success. Therefore, we can provide bespoke Culture Survey solutions (both qualitative and quantitative), to enable this to happen. Adding value to deliver a return on investment is our aim. We work very hard but the essence of our success is making what we do with our clients enjoyable. We focus on developing a deep understanding of our clients, which helps to build sustainable relationships. This chemistry also enables us to bring constructive challenge and to deliver the best solutions, working in an inclusive way. Applying our extensive experience to business challenges to identify creative solutions is something we take pride in. We’re about providing a bespoke service to give our clients a competitive edge. Having a positive approach brings energy and momentum to what we do. Our focus is on supporting our clients to build on their strengths and to find their ‘stretch zone”, so they achieve successful outcomes. One of the secrets of Leap Ahead’s success is being big enough to cope with major projects in some of the world’s leading companies, but small enough to ensure that the people you meet when we first discuss your requirements will be the people working with you to reach a successful outcome. 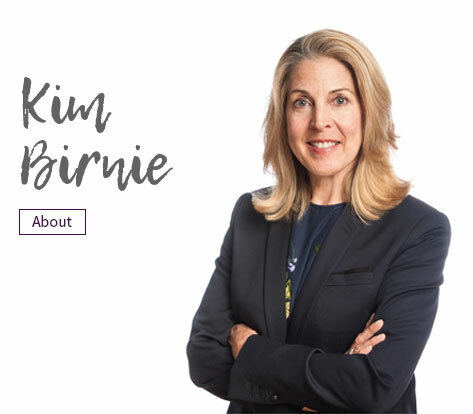 Kim has worked with Executives and their teams for over 25 years. She is a certified Executive Coach, with a background in HR/Organization Development. 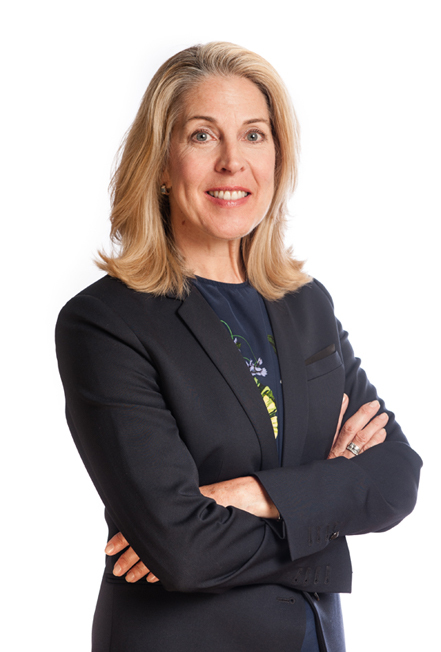 Her experience has been gained working in fast-paced and highly commercial, consumer-led businesses, including Tesco, as Global Head of OD, PepsiCo as HRD and Head of OD, EMEA, where she was also part of the Executive team, and Barclays (Investment banking). In 2004, she started her own consultancy business and has managed leadership assignments spanning many international and cross-cultural environments, across multiple business sectors, including Retail, Consumer Goods, Leisure, Property, Banking, Asset Management, Private Equity, Oil & Gas and Charity/Not For Profit. Her style has been described as a combination of curiosity, empathy and challenge, focused on building a deep understanding of the client and creating the conditions to enable insight and encourage change. Whatever your interest in Leap Ahead, we’ll be delighted to talk to you. We’re based just outside London in Buckinghamshire, but operate across Europe, the US and Asia – in fact, we’re quite at home wherever our clients need to do business. Leap Ahead Limited does not represent that the information contained is accurate, comprehensive, verified or complete, and accepts no liability for the accuracy or completeness of the information contained on the website or for any reliance placed by any person on the information. Any visitors using information contained on this website do so entirely at their own risk. The information contained on this website is subject to change at any time without notice. Your use of and browsing in the Site are at your own risk. Neither Leap Ahead Limited nor any other party involved in creating, producing, or delivering the site is liable for any direct, incidental, consequential, indirect, or punitive damages arising out of your access to or use of, the Site. Leap Ahead Limited does not capture and store any personal information about individuals who access this web site except where you voluntarily choose to give us your personal details via e-mail, or by using an electronic form, or enquiring about any of our services. We may use information for internal marketing analysis, e.g., to measure the amount of traffic to our website. We may use your personal information in order to respond to your queries and requests. This personal information will not be sold to third parties nor shared with other linked sites other than those within the company. If you would like your details to be removed from our records, or you do not wish to receive any notification about new or existing products and services, please contact us. In common with many websites, Leap Ahead Limited may use "cookies" to help us gather and store information about visitors to our website. A cookie is a small data file that our server sends to your browser when you visit the site. We will not however extract personal information in this process nor share the information externally with other companies. You can choose to accept or decline cookies. Most web browsers automatically accept cookies, but you can usually modify your browser setting to decline cookies. This may prevent you from taking full advantage of the website.